* Note: US chili powder (as in this recipe) is a blend. In other countries it can be pure ground chili. 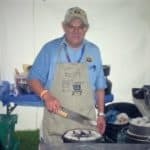 Omar’s Pinto Beans have been a crowd favorite across America in various Dutch Oven and Chuck Wagon Competitions and cook outs. With the technique and flavors founded in the traditional outdoor cooking of Texas it is like eating a part of history. 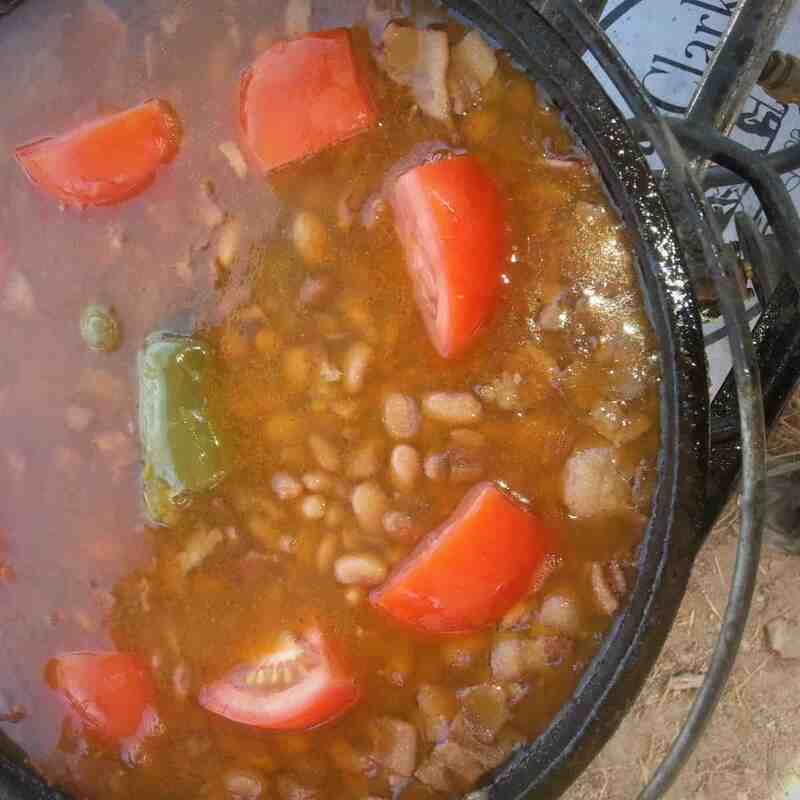 Perfect hearty meal to boil over any open fire in a Dutch oven or similar sized pot. It can be served as a side to a meat main or as a basic main with fresh bread. Start the beans soaking in the beef stock for a couple of hours, then add the chicken stock and additional water if required to ensure the beans are completely covered. Leave to soak over night. Drain the soaked beans then add to a Dutch Oven with enough water to cover the beans completely, then add the chucks of salted pork. Bring to a roaring boil for about 15 to 20 minutes. Add the jalapeno then reduce the heat to a gentle simmer. Add the garlic powder, chili powder, and cumin. Let simmer for about 25 minutes. Add the tomato, green chilies and onion. Simmer for 15 to 20 minutes until the onion is soft. Taste, and season as required with salt and pepper. Roughly dice the cilantro, then add to your preferred taste to serve.